Double-sided prints are turned into a booklet in seconds enhancing your documentation presentation. These compact desk-top machines provide saddle and side stapling or folding only, for A4 and A5 books with different staple locations. Ideal applications include school, church and association magazines, small handbooks, orders of service and information manuals. 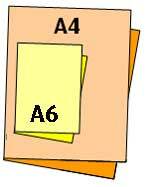 "¢ Place the sheets in the Bookie between the user friendly paper size guides. 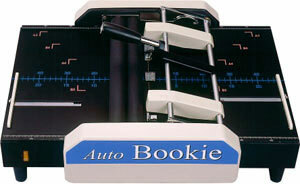 "¢ Move the staple lever across and back, the Auto Bookie automatically fNEWs and ejects the newly created booklet.